Schwalbe Ice Spiker Pro 361 spikes of winter cycling fun and safety. 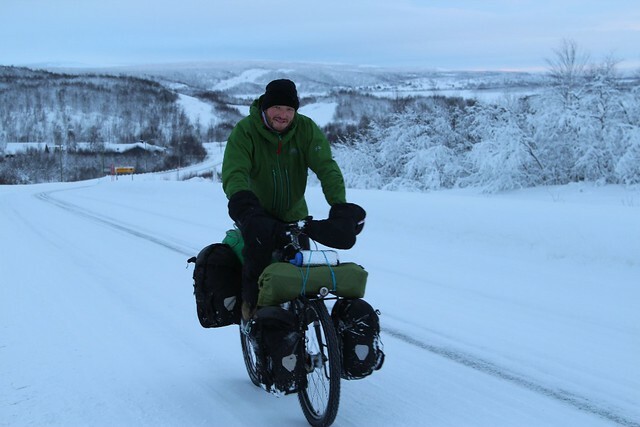 Here are my thoughts and impressions after three weeks cycling in Scandinavia in Winter. In short : It does what it says on the tin. 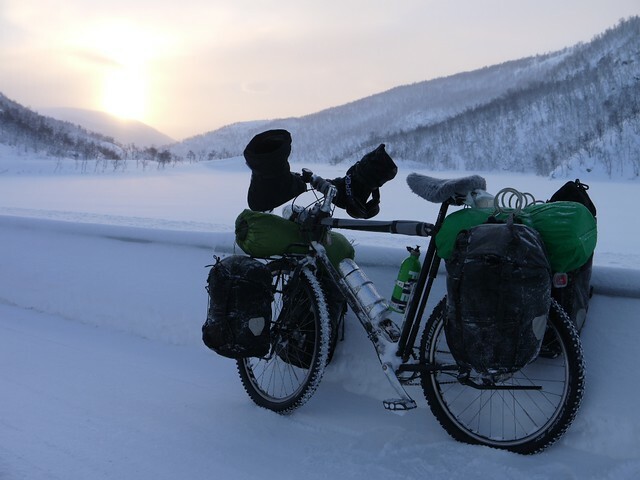 Temp range : cycled -5 to -28 degrees C in Sweden, Norway and Finland mid Jan to early Feb.
Road conditions : Everything from clean asfalt to snow and clear ice. Installation : No issues and apparently you can use them tubeless if you want. Overall impression : Initially I was a little skeptical while doing a short test drive at home. Through light snow I don’t think spikes are much different to other knobby tires. 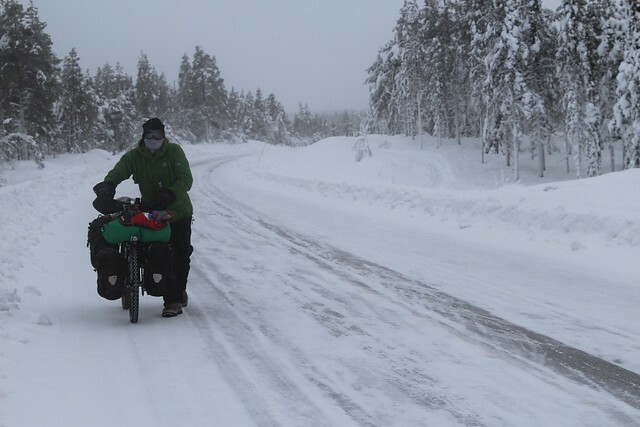 Once in the more extreme weather of Scandanavia with icy roads it was a different story. 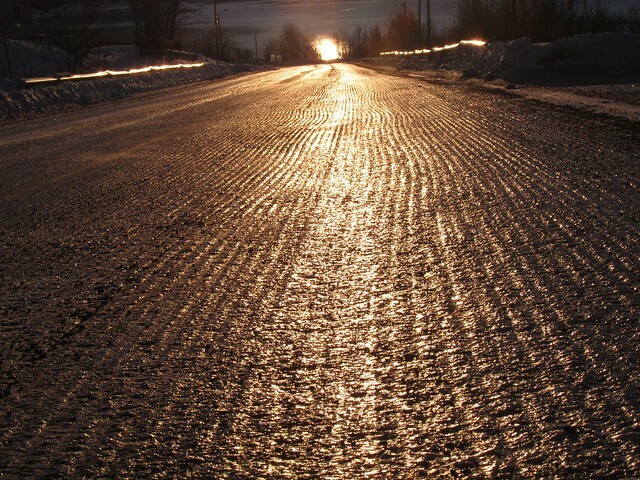 Even on the clear ice roads the tires had amazing grip. On steeper hills when it became too slippy to walk it was still possible to cycle and maintain grip. Negative points : The only possible negative points about the tires are the price, noise and maybe the weight. Once below about -15 the tires became quite stiff and made cycling quite hard work, though I would expect this with any tire in cold weather. 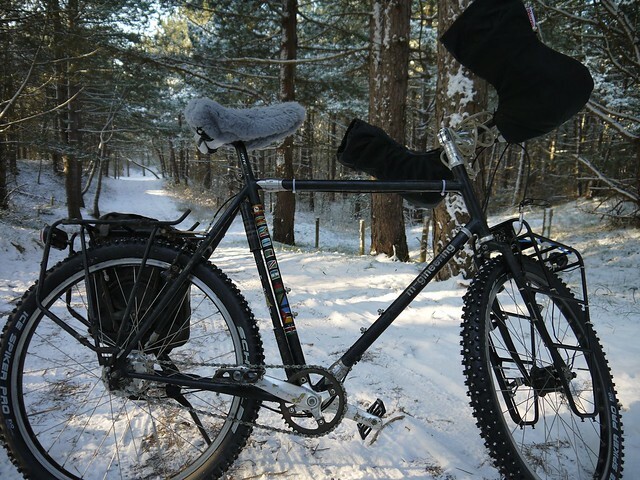 I think these tires are an essential extra for cycling on icy winter roads.